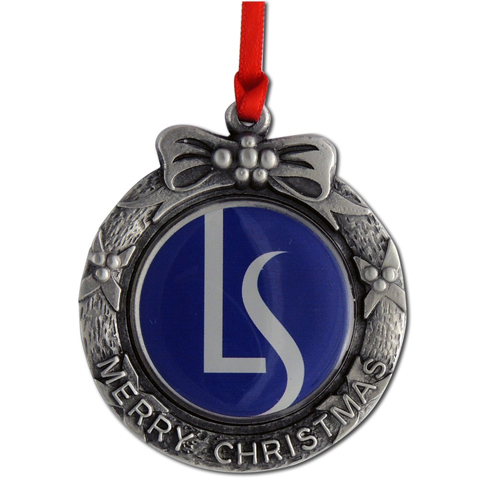 This hand crafted pewter ornament measures 2″ and includes a full color digital imprint in the center. The imprint area is 1 1/4″ round and includes an epoxy dome. Each piece is proudly stamped Made in USA on the back side. Comes with your choice of red or green ribbon attachment. Add our optional gift box to create the perfect Christmas Gift! - Please Select - BulkBlack Velour Drawstring Pouch (+$1.35)Gift Box (+$2.00)Individually Polybagged. Bulk, Bulk, Black Velour Drawstring Pouch $1.35 each, Black Velour Drawstring Pouch $1.35 each, Gift Box $2.00 each, Gift Box $2.00 each, Individually Polybagged.